A good picture book is loved by far more than children. With vivid illustrations and rich text, picture books have a way of communicating messages that other books can't. Many of these books Davy and I read to our students (up through high school), and they enjoyed them every bit as much as our children. Thank You, Mr. Falker by Patricia Polacco. Trisha loves stories and can't wait til she can learn to read, but when she goes to school, the letters wiggle all over the page, and she has to guess at the words. The other children tell her she's dumb, and she begins to believe them. Until Mr. Falker comesto teach at their school. This is a great story for children who struggle in school, or to teach empathy to those who don't. Small Gifts in God's Hands by Max Lucado. A retelling of the boy who gave his lunch to Jesus. No matter how small our offering, God can take what we have and use it for His glory. Annie and the Wild Animals and The Mitten by Jan Brett. One of the best things about Jan Brett's books is the complex illustrations. Around the edge of the pages are tiny pictures giving a foreshadowing of what will happen next. 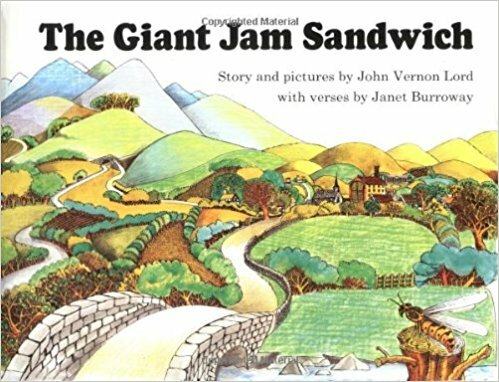 The Giant Jam Sandwich by John Vernon Lord. The town of Itching Down had a problem--it had been invaded by a huge swarm of wasps. The townspeople got together and came up with a solution--make a giant sandwich and trap the wasps in it. Ira Sleeps Over by Bernard Waber. Ira is going to spend the night as his friend Reggie's house. Should he take his teddy bear along? He never slept without his teddy bear. But will Reggie laugh at him if he takes his teddy bear along? Possibly my favorite picture book of all time. Winnie the Pooh by A.A. Milne. What's not to love about this silly old bear and his friends? Young children love these stories, but older children can appreciate Milne's expert humor even more. 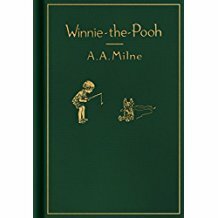 Make sure you are reading the real Pooh and not a Disney version! The Case of the Hungry Stranger and all other books by Crosby Bonsall. Mrs. Meech needs a Private Eye. Somebody stole her blueberry pie. Snitch, Wizard, Tubby and Skinny are eager to help find the thief. Little House picture books by Laura Ingalls Wilder. With beautiful illustrations, these excerpts from the Little House series are gems. The vivid text makes the taste of maple sugar candy or the sound of Pa's fiddle real. Frog and Toad by Arnold Lobel. Here's a little-known fact: My personality is similar to Frog's and Davy's is similar to Toad's. We've had as many laughs reading them together as we've had with our children! My favorite is the story about Willpower. Bedtime for Frances (and all the other Frances books) by Russell Hoban. It is time for Frances to go to bed, but she tries to find every conceivable way to avoid it. Sometimes I wonder if Russell Hoban sneaked into our house one night and wrote what he saw, because it is so realistic! Blueberries for Sal and Make Way for Ducklings by Robert McCloskey. Kuplink, kuplank, kuplunk. Mr. McCloskey is a master with words and his stories are sure to captivate little people. The Cat Who Wore a Pot on her Head by Jan Slepian. Since Bendemolena put a kettle on her head, she has a hard time understanding her mother's instructions--with some interesting results. My children love to use my kettles to play Bendemolena! Chester the Rooster by Nadia Gura. Chester is very proud of his beautiful yellow feathers. But his pride cost him his feathers.